Uzo Aduba to appear in Jamie Lloyd’s production of The Maids. The Jamie Lloyd Company has announced that it’s first production for 2016 will be the UK premiere of a contemporary adaptation of The Maids by Jean Genet at Trafalgar Studios. The production will star Uzo Aduba (Orange Is The New Black), Zawe Ashton (Spendour) and Laura Carmichael (Downton Abbey). In a luxurious bedroom, two maids fantasise about killing their employer, playing out dangerous and sadistic scenarios as they plan her violent death. An intense psychological thriller seething with unique theatricality and brimming with intrigue, The Maids is a vicious analysis of the class system, and a provocative exploration of gender and sexuality. Uzo Aduba and Zawe Ashton will play the maids, Solange and Claire. Laura Carmichael will play Madam. 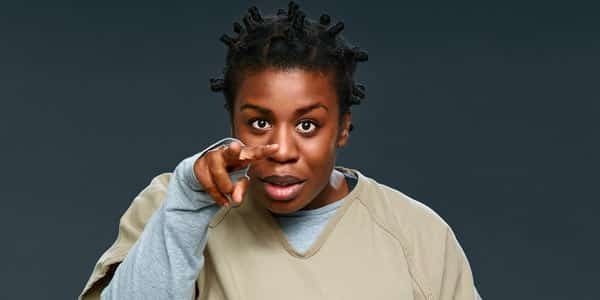 Uzo Aduba said, ‘I wanted to be a part of The Jamie Lloyd Company because they’re interested in doing exciting work that is new, with a twist to it. It’s work with a fresh edge. Jamie reinvents classic plays in a way that we’ve never seen before or have explored before. That’s exciting as an actor. To be part of a play that allows for three women to mine such complex characters inside of an already rich and thrilling story, is the stuff that acting dreams are made on’. The new transaltion by Andrew Upton and Benedict Andrews, was first performed in 2014 at the Sydney Theatre Company. The Maids will be directed by Jamie Lloyd and designed by Soutra Gilmour. Tickets for The Maids go on sale on 10th November with the production running from 20th February until 21 May 2016.